If you need to give an ancient structure a repair, there's a man in South Wales who will be happy to take your call. The Airbus A320 plunged into the eastern Mediterranean as it flew from Paris to Cairo on May 19, killing all 66 people on board. The voice and data recorders from the EgyptAir plane that crashed into the Mediterranean are "extensively damaged" and will need repairing before they can be analysed, an Egyptian official has said. The cockpit voice and flight data recorders are vital for piecing together the last moments of the flight which plunged into the sea, killing all 66 on board. The black boxes can provide key data, including the last conversations inside the cockpit, information about auto-pilot mode or even smoke alarms. They might also give answers as to why the pilot made no distress call before the crash. The cause of the crash of the Airbus A320 has not been determined and no militant group has claimed responsibility for bringing down the aircraft between Crete and Alexandria on May 19. Leaked flight data indicated a sensor had detected smoke in a lavatory and a fault in two of the plane's cockpit windows in the final moments of the flight from Paris to Alexandria. 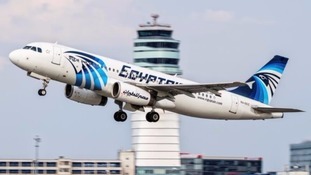 Egypt's civil aviation minister, Sherif Fathi, has said terrorism is a more probable cause than equipment failure or some other catastrophic event. Egyptian authorities have said they have retrieved the second flight recorder in the search for the crashed airliner, Flight MS804. On Wednesday, search teams retrieved the cockpit voice recorder from the Mediterranean Sea. Investigators will hope the breakthrough will explain what caused the plane to go down. The Airbus A320 plunged into the sea en route from Paris to Cairo on May 19, killing all 66 people on board. Search teams have retrieved the cockpit voice recorder from the EgyptAir plane which crashed into the Mediterranean last month. The recovery comes after crash investigators confirmed on Wednesday that wreckage from the plane had been spotted by a deep sea ocean search vessel. Egypt's investigation committee said the specialist search vessel was forced to salvage the device in stages because it was extensively damaged, but was able to retrieve the memory unit. 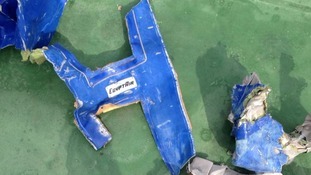 The second black box, which contains the flight data recorder, has yet to be found. It is expected to stop emitting signals in about a week. A second ship equipped with specialist search equipment is join the hunt for the "black box" light recorders and the wreckage of an EgyptAir jet on Friday, the head of France's air-accident investigation agency has said. The Airbus A320 crashed into the Mediterranean en route from Paris to Cairo on May 19, killing all 66 people on board. A French ship picked up a signal believed to be from one of the plane's two recorders on June 1, resulting in the search zone being narrowed to 2 km (1.24 miles) from 5 km. Each recorder, one containing cockpit voice recordings and the other data from the jet, is attached to a beacon designed to emit homing signals for 30 days. Remi Jouty, director of the BEA air accident agency said "It is difficult to imagine the recovery taking less than a week once they are located". The search zone for the crashed EgyptAir plane has been narrowed to 2 km (1.24 miles) from 5 km after a signal from one of the black boxes was picked up, an Egyptian source on the investigation has revealed. It is hoped retrieving the flight data recorders will explain why the Airbus A320 plummeted into the Mediterranean en route from Paris to Cairo last month, killing all 66 people on board. The source denied French media reports the aircraft had sent a series of warnings during earlier flights in the 24 hours before it disappeared off radar screens and crashed. Transport Minister Alain Vidalies said it would be about eight days before the black box of flight MS804 would be recovered from the seabed.